Everything done in weakness fails. Moral: Do nothing. What is more harmful than any vice? Active pity for all the failures and all the weak: Christianity. Errors of haste are seldom committed singly. The first time a man always does too much. And precisely on that account he commits a second error, and then he does too little. Gaze long into the abyss, and the abyss gazes into you. Most exciting ideas are not important. Most important ideas are not exciting. Not every problem has a solution. Every solution has side effects. 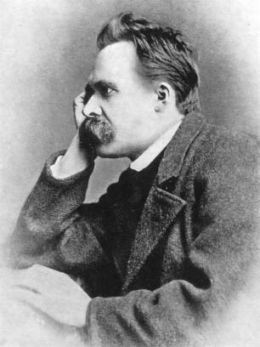 69 quotes by Friedrich Nietzsche.